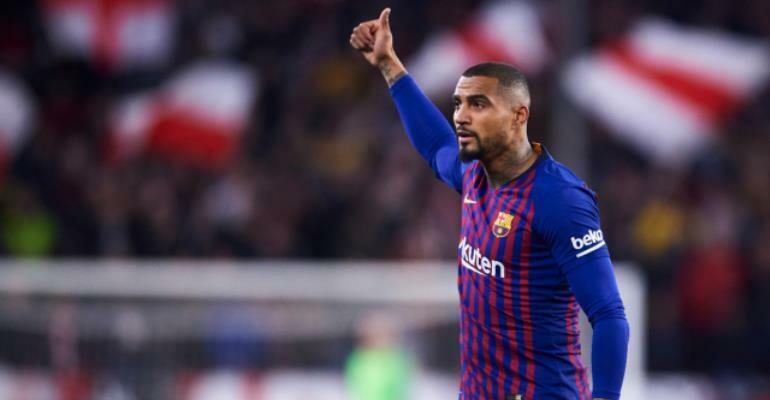 Ghana forward Kevin-Prince Boateng has been listed in Barcelona’s 22-man squad to lock horns with Manchester United in the quarter-finals of the Champions League on Wednesday. Prince Boateng is currently on loan from Sassuolo till the end of the season after making a shock move to Camp Nou during the January transfer window. The 31-year-old has made just three appearances for the La Liga leaders and has been encouraged by head coach Ernesto Valverde to fight for a place in the starting lineup. The former AC Millan man is yet to make a Champions League appearance for Valverde’s team. Below is list of players who made the 22-man squad as released by the official Barcelona website. Ter Stegen, N. Semedo, Pique, I. Rakitic, Sergio, Todibo, Coutinho, Arthur, Suarez, Messi, O. Dembele, Cillessen, Malcom, Lenglet, Murillo, Jordi Alba, Prince Boateng, S. Roberto, Vidal, Umtiti, Alena, Inaki Pena.